Dr Sara Brown is a clinical academic dermatologist - she combines her research with work as a consultant dermatologist, providing specialist clinics for children and adults with atopic eczema, patients with rare genetic skin diseases, and general dermatology care. 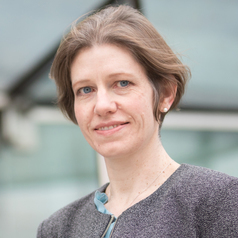 Sara is a Wellcome Trust Senior Research Fellow in Clinical Science; she has been a Professor of Molecular and Genetic Dermatology since 2015. In her current research, Sara is using next generation deep sequencing to investigate copy number variation in genes related to FLG. Sara's laboratory uses organotypic skin culture to test the role of candidate genes/transcripts for which functional mechanisms are unknown with targeted genetic manipulation and detailed proteomic anlaysis. This work will move towards identifying targets for much-needed therapy development for eczema and other skin conditions. Sara's work is funded by: The Wellcome Trust, British Skin Foundation, Tayside Dermatology Research Charity, the Manknell Charitable Trust and the NHS.